Home NEWS Newly circumcised teen dies after four men rough him up to "initiate him to manhood". Newly circumcised teen dies after four men rough him up to "initiate him to manhood". A family in Gatitu Village, Muruka Location of Kandara in Murang’a County is appealing for justice following the mysterious death of their son who was allegedly beaten to death by some young men who were “initiating him into manhood” after undergoing circumcision. 15-year old Juliano Kanyonyo, who sat this year’s KCPE exam and attained 376 marks, was found dead on Monday morning in his bed. 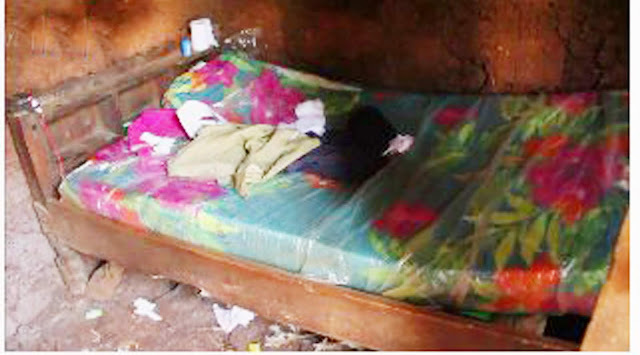 According to family members, some young men visited the teenage on the fateful night to “welcome him into manhood” and are said to have attacked him for allegedly giving them a gift token of an immature chicken. Beth Nyambura, the teen’s mother, said she saw four men enter her son’s house before she went to bed on Sunday night. She admits to have earlier received complaints that the chicken which her son had bought from the proceeds of casual labour was not mature and had even planned to get a more mature one the following day so as to appease these ‘mentors’. “When I returned home at about 8am I noticed that my son had not woken up and I decided to go to his house, which is against the norms and tradition, to check what was up only to find met by his lifeless body lying in bed,” she explained. An autopsy report at the Thika Level 5 Hospital is said to have revealed a blood clot in the boy’s brain. His uncle, Joseph Kamande, said his nephew was circumcised on Monday last week and was having bed rest when he passed away. Kamande claimed that he deceased had some heavy foam oozing out of Kanyonyo's mouth and nostrils. “I cannot explain the shock we have gone through because he was a perfectly healthy boy and his circumcision wounds were almost healed,” he said. Gatitu Primary School headteacher Robert Muchara said Kanyonyo's death was shocking. He described him as a bright and disciplined pupil. The OCPD Kandara Wilson Kosgey has however assured the family of their resolve to pursue justice for the victim and they would follow up on the four suspects who visited the teenager on the fateful night.. Traditionally, within the Kikuyu culture, initiates were required to offer a gift token of a chicken and cigarettes to those who had undergone this rite of passage earlier than him to appease them and ease his assimilation into the “men’s club”. The initiate would be roughed up in his house by his "counsellors" and was not supposed to share his predicaments with his parents as “he was being trained to withstand the challenges ahead of him as a man and a warrior in the society. Bodaboda rider killed, body dumped into a pit. Thika boy beats all odds to top in KCPE. Police nab bhang worth Sh. 800,000 in Thika. 9 Health Benefits of Loquat Leaf you didn't know.